In the history of proliferation, the month of May is of great significance for the South Asian region as in this month both India and Pakistan tested their nuclear weapons. 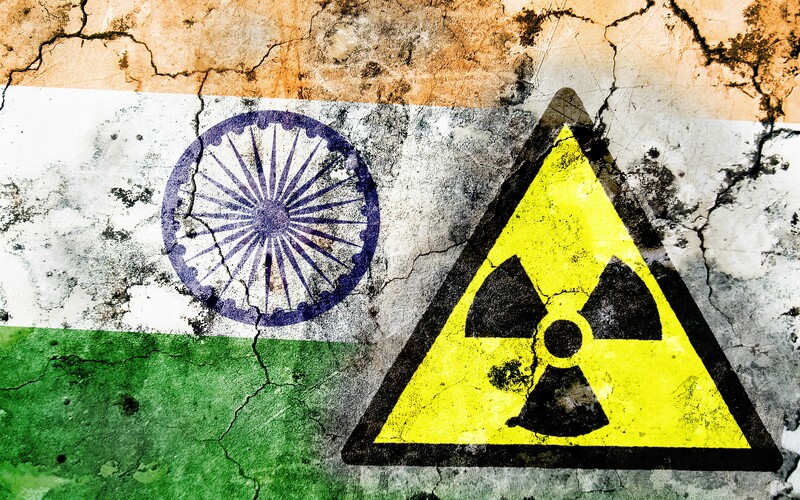 South Asian nuclearization is still interesting, dynamic and dangerous enough to be the issue of concern for not only regional but international security. May 2018 marks 20 years of overt nuclearization of South Asia. However, the often forgotten fact is that the process of nuclearization started way before 1998. Many would say that it started when in 1974 India tested the nuclear explosive device under the guise of the peaceful nuclear explosion. But the attempts to bring a nuclear weapon in South Asia started even before 1974. However, that particular PNE by India started the chain reaction in the region, and Pakistan started its nuclear program to strenghten her security. Before, India’s 1974 test, Pakistan had no intention of going nuclear. On the other hand, the threat from China is taken as a reason behind India’s nuclearization. Nonetheless, proper analysis of Indian ambitions and nuclear proliferation suggests otherwise. Initially, Indian nuclear program projected as a peaceful program started at the time of Nehru administration. Additionally, it is believed that the military usage of India’s atomic program started under Prime Minister Lal Bahadur Shastri. It was the Nehru administration which laid the foundation of India’s atomic program by utilizing the master plan of Dr. HomiJehangir Bhabha, who entwined civil nuclear with a military nuclear program in a way where the growth of civil program would mean the growth of military program as well. He was a firm believer that growth of Indian civilization is dependent upon atomic energy. These views were expressed in 1948 when the concept of the peaceful nuclear explosion didn’t even exist. Moreover, declassified US state department documents tell that India was interested in the nuclear explosion technology since 1954. Timeline of these actions suggests that Nehru administration was aware of the future dimension of India’s nuclear program. Moreover, it also asserts that when it comes to the nuclear program, India’s actual policies are different from its state narratives and doctrines. Later in 1974 by extracting plutonium from spent fuel at CIRUS and it’s reprocessing at Trombay under the supervision of Homi Jehangir Bhabha, India tested its nuclear device under the label of the peaceful nuclear explosion to avoid direct backlash from the international community. Besides, it was also an attempt to develop a deterrent by demonstrating technological competence to all players in Asia-Pacific region. India started its program way before Chinese nuclear test and 1962 war. Furthermore, by the peaceful nuclear explosion, a deterrent was established by India, which stopped the war during Brass-tacks crisis with Pakistan. Even then after 24 years of covert nuclearization, overt nuclear tests were conducted by India in May 1998. Beyond any doubt, those tests changed not only South Asian but international security architecture and political environment. However, the problem of nuclear proliferation started when India made ambitious nuclear energy program, which was a tool to facilitate its military ambitions. The question arises that when deterrent was established and in place for 24 years then suddenly what motivated India to conduct nuclear tests in 1998. Even if one believes that China was the reason behind India’s military nuclear program, still there was no immediate threat to India in 1998. Thus, the factor which motivated Indian government in 1998 was its ambitiousness to rise as a threat in the international system to adjacent states. At the end of the 20th-century international community was determined to make India, Pakistan, and Israel sign CTBT to achieve final success in attempts for non-proliferation. But, if CTBT were signed by India the ability to develop all kind of missiles including ICBM would be taken away. Resultantly, the biggest South Asian state would never be able to show its strength at the regional and global level. These actions taken by India to achieve its national goal of being a regional and international power, changed the security layout of South Asia. Also, it has pulled the region into never-ending conventional and the non-conventional arms race. The cherry on the top is the defiance of deterrence stability by India, which is fueling security dilemma in the region. Thus, to avoid war and counter India, Pakistan resorted to nuclear deterrence as strategic stability is way idealistic goal in an environment of mistrust and on-going conflicts.